Inclination refers to "inclination of COM" and it really means moving the hips inside the turn as the skis get on edge, and the lower body looks "inclined" into the turn, as the skis are on edge. The skier above also has an inclination of COM, but with a lot of counterbalancing, to allow him to stay in balance at higher edge angles. Too much speed will put a big strain on the back if you go in with a lot of counterbalancing. In speed events, at the apex, where the pressures are at maximum, it is more preferable to have less, although in GS these days, there is more and more of it, as skiers try to get the skis more and more on edge - the mitigating factor there is the coiling, which allows the skier to stack better, but that's another topic. In technical skiing, short/medium turns, too little counterbalancing would reduce the hold of the outside ski. It would also create a pendulum motion of the upper body. We've been contrasting inclination of COM with banking or leaning in. Banking is a movement of the shoulders into the new turn as opposed to tipping and allowing the hips moving in first - it is a mistake. 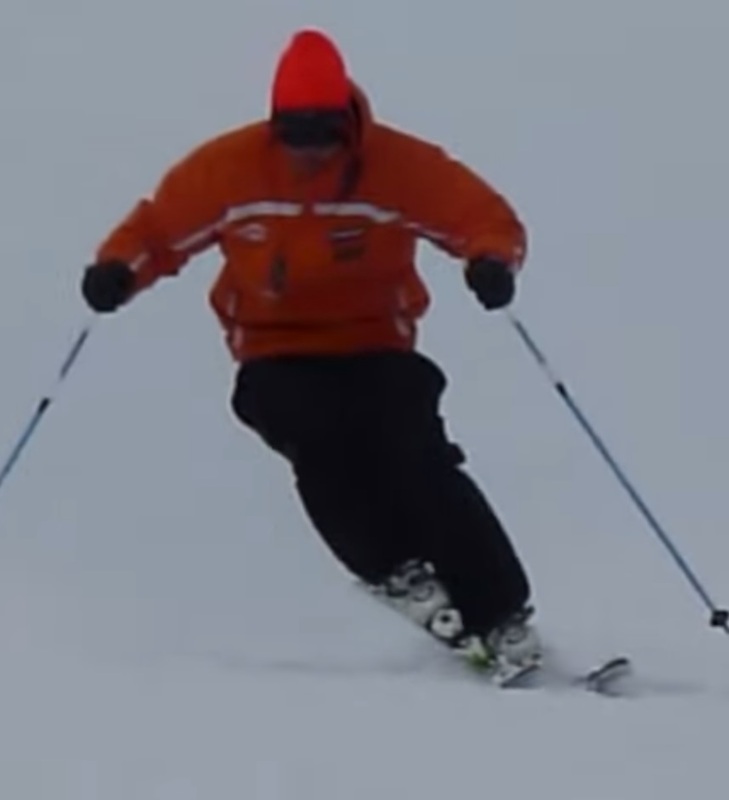 Leaning in usually results in too much weight on the inside ski and reduces the hold of the outside ski. Sometimes inclination is viewed as ok, a tactical choice - the reality is that since we're Movements oriented, inclination is not a movement it really is a lack of movement and the movement that would be missing is Counterbalancing. 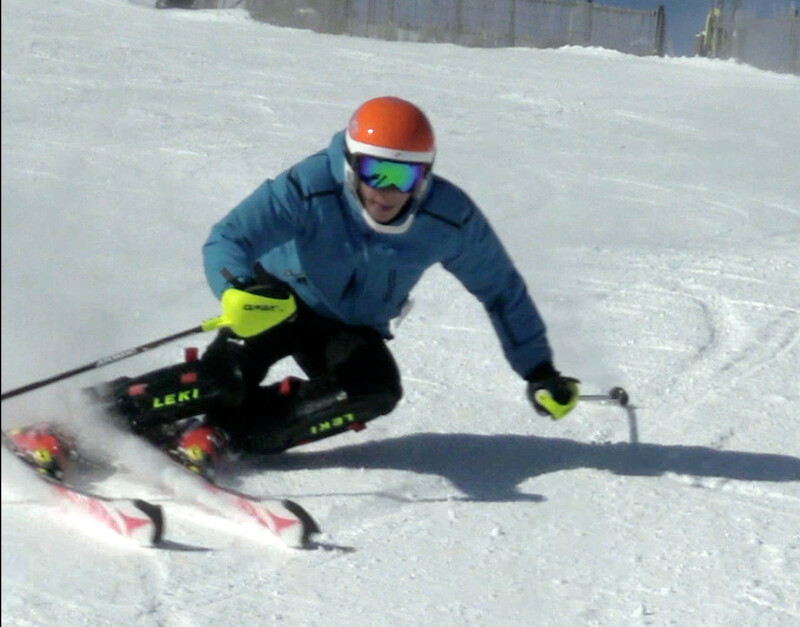 That leads to upper-body skiing, which is a technical mistake... read on. Member-only content avilable (321 words). Member-only content avilable (128 words). The generic meaning of "inclination" in racing circles these days is about establishing "early inclination" into the new turn. 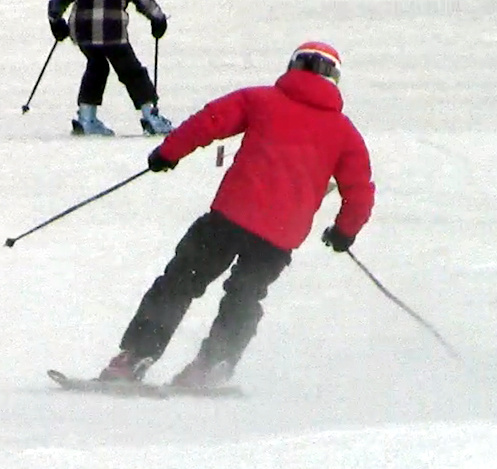 It really refers to moving the mass of the body inside the turn early, to allow the skis to go on edge soon. It is a perspective related to establishing an Upside down where the skis are on edge very soon, at the top of the turn. Careful when you use this cue, since it may lead to "pushing" the hips down, which creates problems with edging early, see early pressure. See Counterbalancing for drills, sessions and more details. Here's another (somewhat opposing) point of view: Inclined to win. Viewed 1026 times ( | Print ) this page.